‘Achieve’ highlights early fundamental aspects such as articulation differentiation, note lengths and beginning rhythms, while teaching the march style. For the most part, Band sections are all moving together. There are a few very tasteful dlessons in dynamic variation and contrast as well. This is an extremely teachable piece for the 0.5 level. Programming Suggestion: Opening selection at Fall/Winter concert for a beginning ensemble. Named in tribute to the powerful Atlas rocket that carried the first Americans into orbit during the space race, ‘Atlas Rising’ is written in ABA form overture style. The piece would flourish, fly and engage at a faster tempo. There is definitive emphasis on tonguing versus slurring. No rhythms beyond eighth notes, and this falls within the first 6 notes learned. Inspired by late 19th and early 20th century dance pieces, this energetic and spirited work uses only six notes yet sounds like so much more! The notes and rhythms will fall into place quickly so you and your beginning students can focus on a variety of dynamics and articulations. The optional accelerando at the end adds excitement as the piece comes to an energetic conclusion. Programming Suggestion: Festival performance piece for a first or second year ensemble. This piece uses the first six notes of the B flat major scale, no rhythms beyond eighth notes and rests. A simple but memorable melody throughout, the piece can be used alongside a beginner method. Programming Suggestion: Winter Concert for a very beginning band. This Grade 0.5 modal piece stays within the first 6 notes learned, as well as whole/half/quarter/eighth note rhythms only, no syncopation. The piece will teach students how to count in 4/4 time and how to subdivide down to the eighth note value. Single tempo, can be taken faster to be more engaging. Programming Suggestion: Method book supplement to incorporate performance material at an early stage and Winter Concert Opening or closing selection. This is a setting that demonstrates the unique roots of Western music in two-and-a-half minutes. The piece travels through the eras starting with an excerpt of gregorian chant, into a renaissance madrigal, and right into classical/romantic eras with excerpts from prolific recognizable composers and works. This is a good piece to use to integrate music history into your classtime without putting the instruments down. A good opportunity to teach accidentals and sudden metre changes (ie Stravinsky is originally in 7/4, arranger has simplified this to the first two time signatures taught). The piece is in E-flat major, and it carries a single tempo but explores legato inside of a march/overture with short articulation and rhythmic ostinato. This piece is a good time to introduce DOTTED rhythms. You can get away with 3 percussionists, however tambourine is integral. Melodic material is passed between sections of the band. This Lyrical piece is set in 4/4, and E-flat major. There is a trumpet solo which states the opening melody, and a written high woodwind solo later on in the piece. This is a great introduction to expressive playing and interpretation for the students. This piece is full of ‘meat and potatoes’ for the young ensemble. Oceanic Forces can be considered a great way to teach precision with articulation and especially accented notes, accidentals and the overall stately feel of a slow march/overture. There is good percussion for at least 3 players. Programming Suggestion: Concert or Festival Opening selection. Enjoy the rich sand of the desert as it moves across the Sahara, sing to the wind, and inspire our creativity. This composition is a perfect musical exploration of another culture. Teaching opportunities include quartal harmonies, varied accents, and an exotic repetitive percussion contribution. There is frequent synocpation which may make the piece closer to an “Ontario Grade 2”. There are integral percussion eighth notes to stay in time. Good for small elementary programs with drum kits. This suite features Bruno Mars’ “Treasure,” “Eye of the Tiger” from Rocky III, Camila Cabello’s “Havana,” and closes with “And All That Jazz” from Chicago. Each theme is focused toward a specific instructional objective. The tunes can be programmed all at once or throughout your school year. This is an easy piece to incorporate into September to a grade 2 or higher level band to get them kicked off successfully with recognizable pop music. This piece is an ideal gateway for transitioning from method books to performance music. It is inspired by the shaped-note tradition of the early 19th century. Technically - it is in E flat major, 3/4, carries a melody which is not always stepwise motion. the Snare drum part is active, important triangle part, but otherwise light percussion. Melody does passs around include a call and response between woodwinds and trumpets. Overall the main theme does repeat several times but this will help students with melodic prespective. This take on Bring a Torch, Jeannette Isabella, is set through references to Silent Night is in 3/4 and remains in B Flat major throughout. This is an opportunity to teach expressive playing through the lyrical style, all in the name of a well known holiday carol. The imagery set in this piece is one of one ship descending upon another This is a very programmatic work which explores minor chord progressions and establishes a gripping dramatic momentum very early in the piece. This includes the opening melodic statement in the allegro being made by low woodwinds and low brass. This programmatic piece, opens with a very expressive lyrical section, leading into a brisk 3/4 section with moving melody, countermelody, background, AND accompaniment parts, ALL somewhat independent of one another rhythmically. This is a push for a Grade 1.5 group for this reason as well as chromatics inserted here and there for melodic effectiveness. Overall this is a high woodwind, trumpet, and percussion heavy piece. This flowing lyrical work is set in E-flat major, 4/4 time carrying simple rhythms and an introduction to dotted quarter notes in the melody lines. The piece has a good memorable melody. There is high flute through the piece as well trumpet up to high D - percussion writing in a lyrical is hard to come by, this has 3 important parts between timpani, handheld/cymbal, and bells. Characteristic of this burlington based Canadian composer’s writing, modality, tempo, driving rhythms including an early set of syncopation drills make The Conquest one of his most exciting pieces yet! Every player and section is featured at one time or another with both melodic material and either counter melody or rhythmically independent background patterns. This piece is closer to a Grade 2 overall, a strong Grade 8 band could get alot out of the piece in both of the classroom and rehearsal settings. Programming Suggestion: Canadian component in Festival for a B200 group. The piece is graded appropriately as it sits in D minor (concert) for the majority of the piece. There is an introduction to F# (concert) in several instruments near the end of the piece. The composer makes use of handheld percussion items to mimick a snake’s rattle. Similar to 2017’s Invictus Rex. From the hit movie musical The Greatest Showman, this showstopper is an inspirational song about making your dreams come true. Michael Brown’s outstanding version for young players features a variety of textures and scoring from soft and delicate passages to the powerful full band chorus. Dramatic and nicely paced! Vaughan Williams’ work represents the height of English Post-Romanticism after the turn of the century, which was characterized by fervent nationalistic spirit and a corresponding surge of interest in discovering, preserving, and performing traditional folk music. This arrangement includes elements of “Fantasia on a Theme by Thomas Tallis,” A Sea Symphony, “Linden Lea,” and “Overture to The Wasps,” This portrait is rich in texture and well arranged. This would be the best fit for Grade 9 credit. It may be a tougher sell to elementary students. You will need every section of brass covered. Tonal centre, ensemble balance and blend, intonation and overall musicianship can be taught in this piece. There are accidentals used throughout. Programming Suggestion: Concert or Festival for a Grade 9 and/or B200 entry. The piece is set in 3/4 and b flat major throughout. 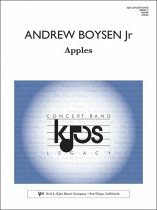 Portrayal of nostalgia and serenity, this composition has a lot of teachable moments for young musicians, including low brass and woodwind melodies and opportunities for part independence and expression. There is percussion writing in the piece which includes windchimes. Programming Suggestion: Lyrical /Middle piece in a festival entry for a second year ensemble. This strong lyrical is a good way to teach tenudo, all aspects of legato and connected playing, as well as rallantandos, and the use of caesuras and fermatas. The composer promotes freedom of interpretation when it comes to solo lines, and very rich harmonies during the full-ensemble moments and climax of the piece. Technically, this is a grade 2 lyrical piece however musically , it is much more of a challenge. Programming Suggestion: Use this piece to teach lyrical attributes and fundamentals to a strong group of Grade 8’s, or B200 Lyrical Selection for a High School band who is entered in B200. This piece introduces it’s melody through a flute solo (high written C), english folk song 17th century, melodic. B-flat major 3/4. This is a good piece to use for phrasing, intonation in the upper woodwinds, and pitch/tone quality control in delicate and quieter dynamics. Programming Suggestion: In Class work on lyrical and expressive playing, Concert or Festival lyrical/middle selection for a combined level group or B200 Band. As suggested by the title, this powerful rock hit from Imagine Dragons has a thundering pulse and strong melodic lines throughout. Nicely adapted here for band by Paul Murtha, with teachable moments throughout. There is a tremendous amount of teaching (as well as energy) in this hanukkah holiday piece. A Rollicking Hanukkah is Full of overexaggerated articulations, accents and dynamic shifts, all while maintaining a defined sense of pulse and rhythm - all of this arranged in this composer’s typical style. This piece has very active percussion, you will need at least 4 incl strong mallets, should own chimes. Includes an 8 measure long percussion interlude. First Trumpet ends on a held high written G.
Programming Suggestion: Festival closing selection for a B300 concert Band. This is a delicately scored arrangement which is inclusive (but does carry much of the melody in upper woodwinds)- most instrumental sections have moving parts at one time or another throughout the arrangement. The importance of all lyrical fundamentals , most of all phrasing, can be taught. Use this piece to study Elgar’s music and the Romantic era. Also use this piece to teach how to PLAY the notes AND the rests, proper Note releases, and breathing together as an ensemble. Programming Suggestion: classtime use for Music History and transcription module, Lyrical Selection in a themed or Winter Concert for a combined group. Melodic in nature, this lyrical piece employs an older and traditional compositional style. Melodic fragmented call and responses start off the piece, followed by a TWELVE measure long first clarinet solo. When the full band is employed, the texture is thick. There is strong harmony during the climax of the piece, which is a perfect vehicle to teach ensemble blend and especially balance between the sections of the band. This is well scored for only 5 flexible voices plus percussion accompaniment. Part 4/Trombone BC Euph part does stand out as being an instrument family that has exposed solo or melodic statements as often as the higher (flute clarinet) voices. A tiny band could still make this arrangement and flex band concept work successfully. This is a good opportunity for a combined level group to explore the music of Holst and music of the early 1900’s. This piece should be appealing to anyone with a high school band who either wants to feature their low brass and low woodwind sections OR recruit/retain/and expand these areas of the ensemble. A full rhythmically-apt percussion section is quite important for this piece (5 players). There are a few twists and turns rhymically and with quick time changes, and a few sensible modulations, underneath a modestly repetitive framework of rhythms and melodic riffs. From the widely popular soundtrack of the hit movie The Greatest Showman, here is a fast-paced medley skillfully adapted for flexible instrumentation. Includes: The Greatest Show, A Million Dreams, This Is Me, and From Now On. This is scored for 5 voices plus percussion - flexibility between the logical voicing groupings - and strings parts are included to make this adaptable to full symphony orchestra. This piece is dedicated to a 32 year long career of a successful Edmonton based instrumental music teacher. There are varying rhythmic complexities throughout the piece , however some of these come by way of motivic repitition. Similar to Donald Coakley’s Celebration for Winds and Percussion, the melodies move throughout the lower voiced sections (and trumpets) while the upper woodwinds sit on the motivic accompaniment and countermelodic material. The piece was written for a retiring music teacher with a 30-year career split between two schools. Apples is minimalist in nature, using the number 15 as a generating force and structured using a process in which repeating layers enter and leave after playing their passage three times. Each of these layers is 5 measures long with 3 beats to the measure (15 beats per passage). The basic melodic cell for the piece begins with a harmonic 3rd moving to a harmonic 5th. Andy Boysen is known for works in this idiom, the most popular of which is on lists and syllabi everywhere: Tricycle. Musicals and movies are a match made in heaven!v Mamma Mia,v La La Land, andv Chicagov are three timeless masterpieces of this immensely popular genre. Incorporating “Dancing Queen,” “Mia and Sebastian’s Theme,” and “Overture/And All That Jazz,”v At the Movies---The Musicalsv provides a memorable and exciting journey into the wonderland of movie musicals. This is on the difficult side of Grade 3. A classic example of a groove piece, predominantly in 7/8, this is a great chance to teach quick metre changes. The meldodic framework of the piece is built solidly into the 7/8 signature. Full band rhythmic involvement ensues midway through the piece with a percussion and clapping only section followed by a built-up ending and recap. The piece flourishes with an oboe player at the helm of the melody but this can be moved around. 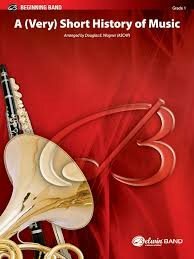 This Canadian lyrical work makes good use of colour and imagery , idiomatic to each instrument family. Your ensemble will need to pay extra attention to phrasing, dynamic and pitch control. Technically, this is an endurance piece for your first chair trumpet player. Programming Suggestion: Canadian/Lyrical Content for your B300 Festival entry. In 1917 two ships collided in the harbour of Halifax, NS. resulting in an explosion that devastated most of the city. Echoes of the Silent is a hymn that pays homage to those who perished and to the resilient souls who survived. The piece is focused around one memorable theme which is played by almost every member of the band at one point or another throughout the piece. Rhythms and ranges are not complex or difficult - as the piece promotes connected phrases and working/listening together as a large ensemble. Programming Suggestion: Festival Lyrical and Canadian B300 Selectionbells. The melody is quite stunning and the piece is a great opportunity to have the entire band involved in the excercise of musical interpretation. The piece is most appropriate for a high school band. Programming Suggestion: Festival Lyrical selection for an experienced Grade 9 class or a combined 10-12 split. Canadian composer Kristofferson has here written a beautifully melodic and poignant reflection on a young life ended far too soon. Featuring lush textures highlighted by an optional piano part, the vision of “kindness matters” (the favorite saying of Madison Fleming) guides and informs this wonderful new lyrical band work. Technically, this is rich and thick in texture. While there are soloistic lines throughout, they are all VERY supported underneath. There is an active and very important piano part as well as mallet and other percussion. The choral structure and choices made by the composer suggest that this is a good study for intonation for your upper level ensemble. Chorale-like throughout, there is great opportunity to foster ensemble musicianship through advanced tone development, phrasing including breathing and releasing together, and overall ensemble playing. This arrangement is worth every penny, as it is over 7 minutes long. IT details the hits from this blockbuster movie musical of 2017. Technically, there is some brass endurance playing particularly in 1st trumpet and Euphonium (the latter has a melodic solo). The rhythms are very close in authenticity to the original score, which equates to many different dotted/syncopated rhythms throughout. Programming Suggestion: High School or Community Band Concert, at any time of the year. This is a crowd and student pleaser. Programming Suggestion: Winter Concert for your seniors or Grade 9 group. Winner of the Academy Award for Best Film Score for the movie The Shape of Water, the music of Alexandre Desplat is mesmorizing and beautiful. Robert Longfield has skillfully adapted these distinctive melodies in this delicate and moving arrangement for band. This is a lush lyrical work with a very stable and rich harmonic framework, perfect for listening across the ensemble, tone development, balance and blend, and intonation. Randall Standridge is known for the driving single tempo groove pieces, all of which have an uplifting melody or theme. These are always student favourites. Technically there are active parts throughout almost every section of the band. Metre Changes, quick rhythm/ostinato shifts and key changes (F+ to B flat +). There are usually moving background lines and/or countermelodies happening in opposing instrument groups as the melody. 4 rhythmic active percussion parts including hi hat, choked ride cymbal, and solos in both log DRUMS and timpani. A great Composition by York University’s Bill Thomas, this piece has theatrical and cinematic references as it presents technical and musical challenges for your senior/advanced ensemble. An agile focused group of woodwind section leaders is needed throughout the piece for the repeating statements of the melody, and there are exciting brass parts. A meerkat is a small, hyperactive animal in the mongoose family that lives in the southern regions of Africa. The composer has set out to create music that is fast throughout, exemplifying the meerkat energy level. Sometimes humorous, sometimes vigorous, and full of musical surprises, this selection is built around chromasticism. There is a rhythmic complexity to it, however not complicated beyond the Grade 3.5 grading. Brass ranges are neglegable as well. Programming Suggestion: Light or Spring Concert Selection for your Senior level ensemble. This piece is truly unlike any other piece that Robert Sheldon has written , in terms of both structure and overall form. There are numerous musical moments led by solo parts in flute, trumpet , and oboe . Modulations, metre/time changes, and a final section which is NOT a recap. aside from 2 horn parts, a full band instrumentation with 5-6 percussionists is needed. Roland Barrett is a composer who makes a point of giving brass melodies with driving rhythmic backgrounds in high woodwinds. Eventually the two will switch. sounds like Ghost Dances, 6/8 first section. Need 4 competent perc. There are very active mallets snare, and timpani parts throughout. Primal in every sense of the word, this work infuses complex harmonies with angular melodies. It is driven by percussion and the dissonant rhythmic pulse in the lower voices, the music eventually gives way to a slower, mystical section. As the music’s primal nature begins once again, everything ultimately leads to the adrenaline-packed ending punctuated by racing woodwind ostinatos and extraordinary brass chords. A strong ensemble with full instrumentation is needed for this piece - with exceptional depth in 1st Alto, flute, and percussion. The percussion writing includes 3+ mallet vibes parts, marimba, 4 pitched tom toms and an active timpani part with multiple solos. A subtle masterwork for wind band, this piece features slowly shifting curtains of sound, and optional harp and string bass that can further enhance the sound palette. The title refers to the divide between this dimension and the next, and the piece uses moments of silence and slowly evolving melodic lines to describe the journey that all must take. Consider performing this new work for wind band that features solos for euphonium, clarinet, oboe, and flute. The piece works without the HARP part. At the height of the jazz age, each of the major swing bands had their own “signature” sound, immediately recognizable to their enthusiastic fans. This composition puts these various sounds and rhythms together in homage to a vibrant and innovative time in American music. This piece is a fun way to teach your ensemble to swing and get your audience tapping their toes! Commissioned by the West Vancouver (BC) Youth Band - Douglas Macaulay, director - in tribute to “Canada’s King of Swing”, Dal Richards. Programming Suggestion: Spring/Themed Concert or perform as a PR move at any British Columbia festival. Con brio for example. The piece is written for to celebrate the life of a young musician whose life ended too soon. The piece has very exposed lines in all voices, anchored by the (powerful) use of silence and WAITING. This will be a true excerise in tonal control for your upper woodwinds and rich round centred sound quality for your brass section. There are many suspensions throughout the piece, which carries a rich and very sophisticated harmonic framework. The piano part is at the forefront of the statement which the composer is making regarding the tribute to this young man. Programming Suggestion: Lyrical/Canadian content for a B400 or B500 festival. This is a woodshedding and sectional rehearsal driven piece which focuses on technical ability of the individual players and their sections. And then, piecing the entire puzzle together as an entire ensemble with tremendously active percussion (minimum 6 players) including some very technical mallets parts. Range and rhythm is not complicated in this piece. Repitition, time, feel (ie in ONE) are all aspects that will make this performance piece successful. This piece is composed in typical Galante cinematic style. 1st trumpet part calls for endurance playing with active and repeating articulations and melodies all sitting up in the high C area for measures at a time. French horns prevail throughout the piece including high written b flats. Steady and constant flute and clarinet technical passages and repetitive accompaniments. There are busy parts for mallets and all other percussion, six players minimum needed. This piece will push your brass woodwinds into the land of triple tonguing and very fast triplet-single tonguing. There are frequent modulations and style changes as each new idea/variation on the theme explodes.